We're proud to introduce the one and only Nakeduino-32U4. 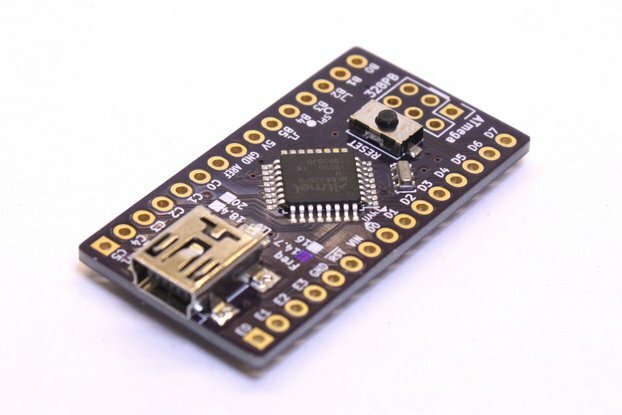 The Nakeduino is a bare Arduino development board compatible with SMD chips loaded with the Leonardo bootloader (and virtually any other). The PCB only holds the MCU! The pinout is based on the schematic symbol from KiCAD, as showed in the attached schematic. We designed the Nakeduino-32U4 thinking of makers, engineers, tinkerers and hobbyists who are looking for a solution for prototyping their own standalone Arduinos before implementing them on a more complex system. Why? Because at some point you are going to prefer to shrink the footprint of your project instead of embedding that bulky board that you've using during the prototyping stage. 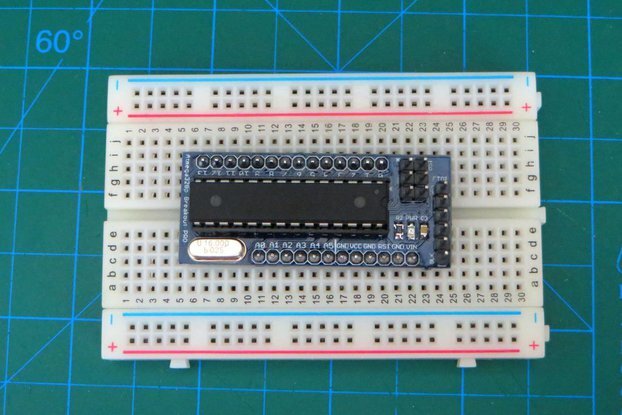 We believe it is an important tool since usually designers (including ourselves) take for granted the functional sections of the Arduino when using commercial boards including clones. Better be safe than sorry! 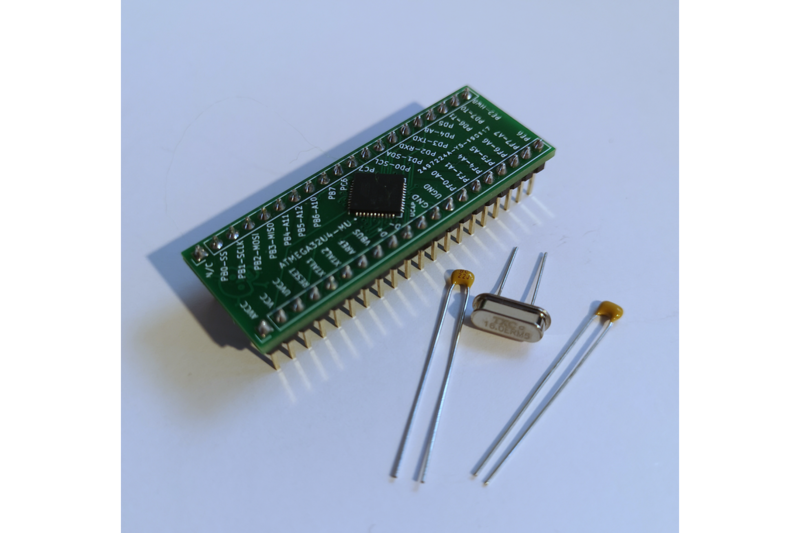 f. Breadboard friendly: As shown in the attached pictures, the size is appropriate for all commercial prototyping boards. 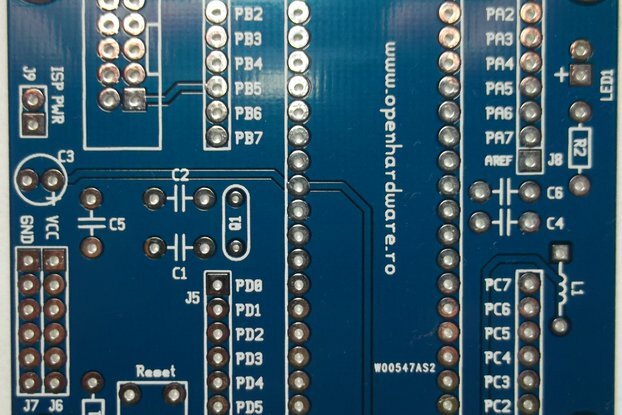 20-pin headers must be soldered on each side of the PCB. In addition, with this board you will have access to all of those pins that are not routed on boards like the Pro Micro. For example: pin D17 is assigned only to the Rx LED and perhaps your project needs to use CS from the SPI Port being that D17 also corresponds to that pin. We designed the pinout distribution in a way that makes sense since all of the support pins were routed on the bottom-left hand side of the PCB leaving you total access to the usable analog and digital pins on the rest of the board. The silkscreen CLEARLY shows the pin correspondence. In the attached picture we exemplify an application of our board using it as a digital counter driving 7 segment displays. The MCUs have arrived! We will be offering boards populated with microcontroller. These will be available in kits with crystals and capacitors! Please notice that we will supply these kits with the best possible quality of components like Vishay caps not rubbish 'cheap' ones. For further info read the datasheets. I ordered this product from Massachusetts, US and I received it super fast! (within 6 days). Well packaged and just like described in the product page. 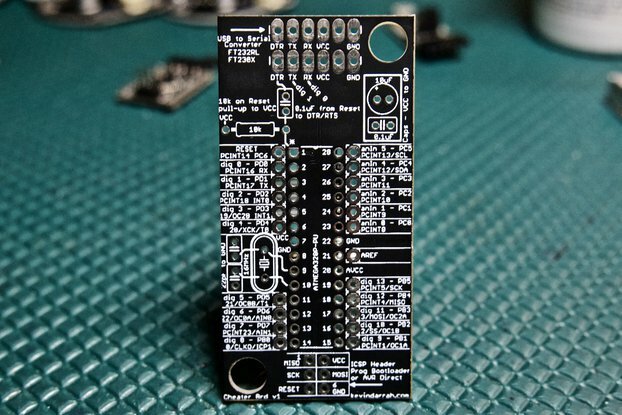 You can use this board as a standalone Leonardo or if you want you can use it as a USB interface for your project by flashing Lufa to the Atmega32u4. Great product, highly satisfied, thanks a lot! We're glad to hear that you got everything on time. It seems that you're having fun with the board and that's pure awesomeness. Please let us know if there's something we can improve.